The stories of Wythburn and St John's-in-the-Vale have recently been told in two booklets by Geoff Darrall, a former vicar of the parishes. 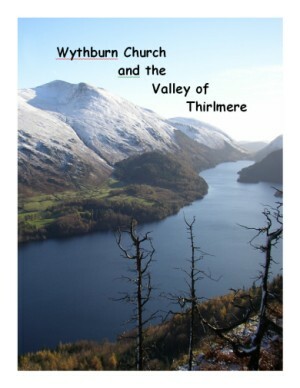 The St John's-in-the-Vale booklet is sold out but a few of the the Wythburn booklets are available at price of £5.90 inclusive of P&P. All profits go towards the upkeep of the church. The Story of St John’s-in-the-Vale describes the history of the beautiful little church set up on the pass between High and Low Rigg which lies in the centre of the parish. 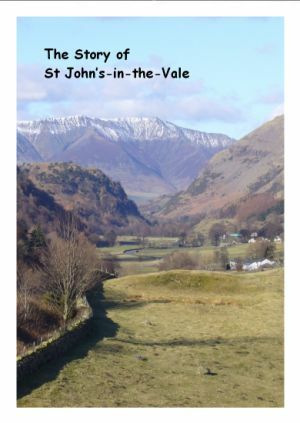 There are chapters on the heritage of the parish, The Vale of St John’s and Naddle. There is also a brief biography of the dialect poet, John Richardson, revered as the builder of the church, the vicarage and the school. An appendix details the footpaths of the parish and includes a map of the houses and footpaths mentioned in the text. Tells the story of Wythburn church against the background of the drowning of the valley at the end of the 19th Century, when Manchester needed a source of pure water. This booklet costs £3, and contains 48 pages. Please send a cheque payable to Geoffrey Darrall. Piper Publications, Piper House, Naddle, Keswick. CA12 4TF. England. Rediscovering Our Past (Book 3) is the focus of this website and contains photos and histories of various houses in the parish, largely researched and written by the current occupiers. Also included are anciently important but now abandoned farmsteads together with photos of their remains. These include Causey Head and Snipes How in the vale of Naddle and Rake How (or Wrecka), How Gill, Moss Dykes and Cote Syke in the Vale of Saint John. Under the terms of the RDPE grant the book cannot be sold but only distributed to parishoners. was written by John Jackson of Fornside and latterly of Bram Cragg, about 1995. John Died in 2005 but his family wished to see his book published. John's text has been edited by Pat and Geoff Darrall and illustrated with numerous photographs supplied by the Jackson family. 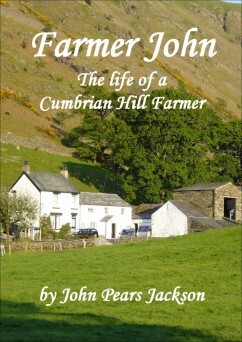 The book tells the remarkable story of John's life as a Cumberland farmer and musician. John Pears Jackson lived and worked in the Vale of Saint John’s throughout much of the last century. His story describes the day to day life of a farmer and the enormous changes in farming over sixty years, including the stresses and strains of wartime restrictions. As a musician, John formed with his brothers the well-known and popular Jackson Brothers Dance Band which played all over the County and beyond for Farmers’ Balls, Hunt Balls and other events.The book has been illustrated with many contemporary photographs.This is a story which will fascinate both farmers and all who love Cumbria, its life and traditions. 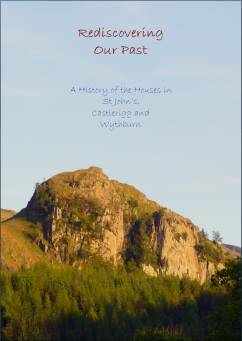 The Jackson family have paid for the printing and publication of the book but have kindly agreed to donate the proceeds of any sales, to be divided between St Johns in the Vale Church and the Thirlmere Village Hall.